Ajumma! from Jung Moon on Vimeo. 아줌마 이미지를 Pixcel이라는 앱을 통해 만들어 보았습니다. 다음에는 좀 더 정교하게 한 번 더 만들어 볼께요. 아줌마 화이팅! 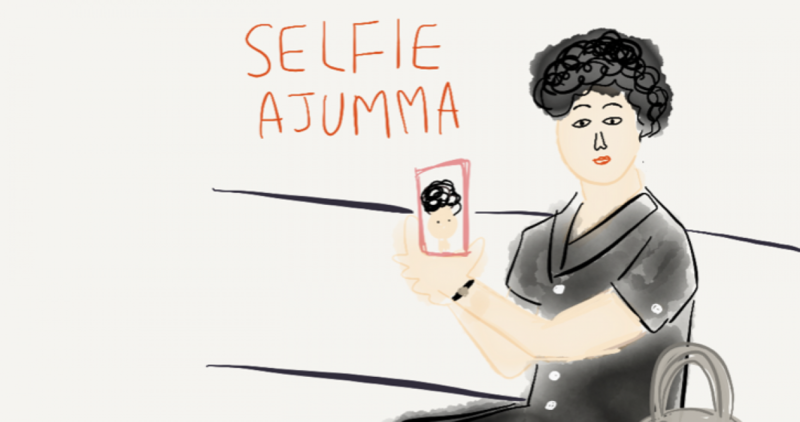 I tried to make an animated ajumma by using an app called ‘Pixcel’ on my smartphone. I will try better ‘ajummarous animated image’ for next time. Ajumma Fighting! Posted on 18 Jan 2016 18 Jan 2016 by moon ajummaPosted in Digital Ppal-let-ter Project /디지털 빨래터 프로젝트 (Creative Project), 스마트 아줌마 (한국어), Smart Ajumma (English)Tagged ajumma, animated ajumma, 대한민국 아줌마, 픽셀 어플리케이션, 아줌마, 아줌마 화이팅, Korea, pixcel. Previous Previous post: Have a good weekend all ajummas! 모든 아줌마분들! 좋은 주말 보내세요!